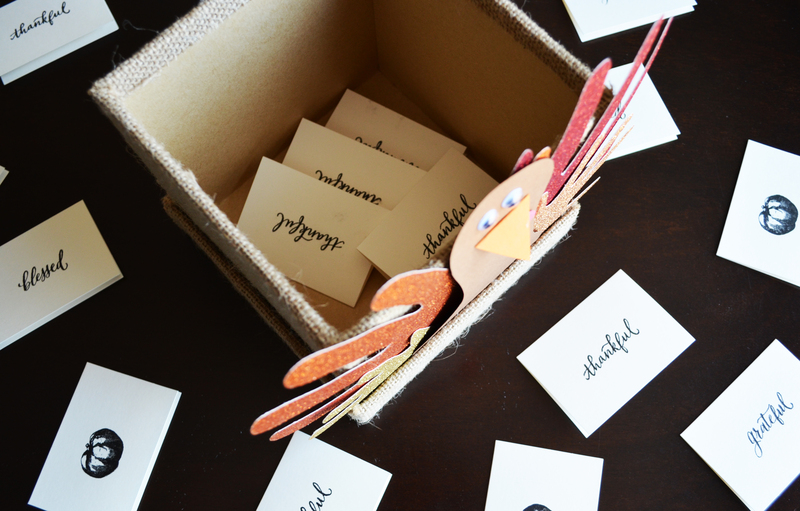 Tickled… I’m completely tickled every time I look at my kitchen counter with this gorgeous Thankful Turkey Box, I am obsessed with it’s cuteness! I wanted to really make it extra special so I decided to use everyone’s hand for the turkey feathers and it could not have turned out any better. When finished I just stood back and smiled; proud that my idea turned out so lovely. I think my favorite part is the glittered card stock that I stumbled upon while roaming the isles of Hobby Lobby. Now that I’m thinking about it I really need to go back there and stock up on this dazzling paper since my plan is to make new hands for our turkey box every year. I’m hoping for this to be a fun tradition the kids will love while growing up. All throughout November we will leave little notes that contain things we are thankful for and at our Thanks Giving turkey dinner we will share all of those things together as a family. A friend gave me the coolest idea, to save all the hands through out the years and create a wreath out of them one day. I can just imagine all of those hands now, as they get bigger and bigger all around the wreath, oh this makes me want to cry… if they could just stay little, right!? 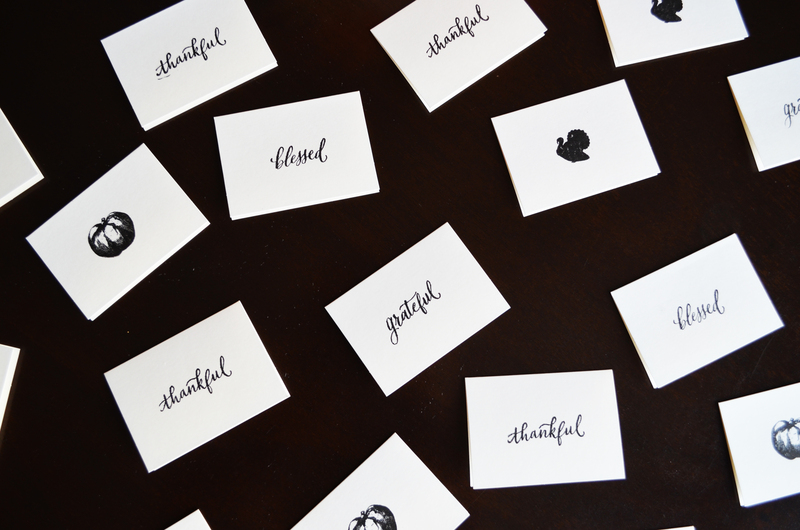 You can of course use plane paper or card stock for your thankful messages, but I found this beautiful stamp set and used card stock to make our messages extra special. Started a tradition to teach my children to be thankful… Check Mate!